Seattle’s condo market experienced a banner year in 2015 that had outperformed 2014 by wide margins. Interestingly, the results were not far off from where we were at the peak of the condo & housing bubble in 2007. Our market not only rebounded but is now exceeding previous records. Within the city of Seattle, 3,016 condo units closed in 2015 representing a 20.4% increase over 2014. That’s an 8-year high. Back in 2006 there were 3,518 units closed in the NWMLS but we also had thousands of new construction units available. This time around there are only a few hundred remaining, which are selling swiftly, and inventory is lower than its been in over a decade with only a couple of new developments in the pipeline. The citywide condo median sales price improved 17.8% to $352,000 last year, which is a new record. The previous high was in 2007 at $314,950. The total dollar volume of condominium sales in Seattle skyrocketed 41.3% to just over $1.3 Billion ($1,331,264,261) in 2015, edging out 2007 by $16 million. As for neighborhoods (by NWMLS market areas), the Downtown / Belltown region experienced the most robust growth, primarily on the strength of the Insignia project, which was the first new condominium development in six years. Median sales prices and unit sales volume increased 29.8% and 49.4%, respectively. Capitol Hill saw a 20.8% increase in values, which were all resale units. No doubt, the Hill’s rapid redevelopment, new light rail station & street car options and closeness to the Amazon campus has made it quite desirable. 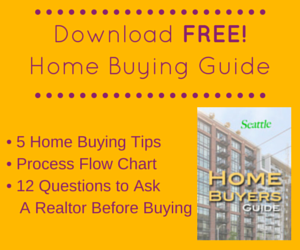 However, all areas of Seattle realized higher values and unit sales volume. Source: NWMLS. 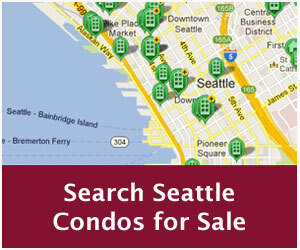 Statistics were independently compiled by SeattleCondosAndLofts.com and were not published by the Northwest Multiple Listing Service.